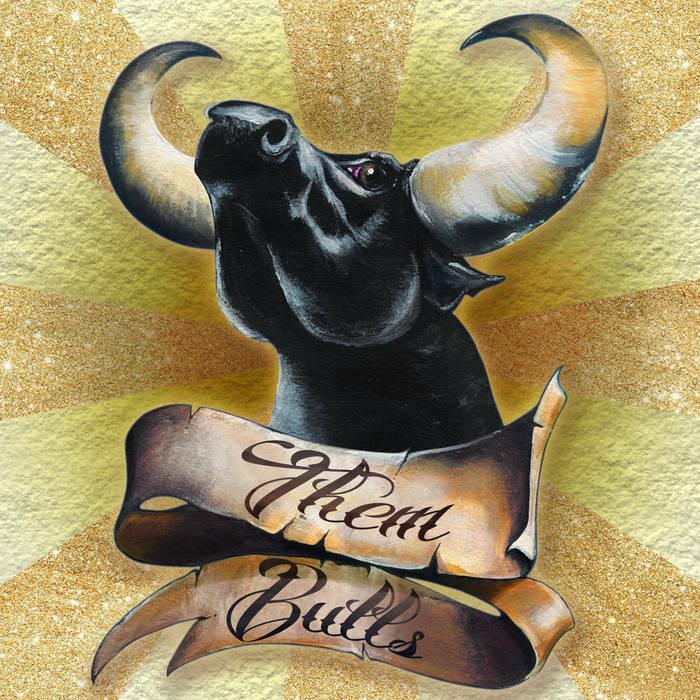 Having already shared stages with labelmates in Abrahma and Lo-Pan, as well as Turbonegro, Nick Oliveri and many others, Italian heavy rockers Them Bulls will release their debut full length, Them Bulls, on Small Stone Records later this Summer. Marking the debut with the band of second guitarist/backing vocalist Francesco Maria Pasi alongside founding vocalist/ guitarist Daniele Pollio, drummer Giampaolo Farnedi (Mondo Generator, Brant Bjork and the Bros.) and bassist Paolo Baldini, Them Bulls was recorded and mixed by Mattia Dallara at Deposito Zero Studio in April and mastered by Mathias Schneeberger. Them Bulls will be hitting many a stage in support of this release. For fans of: Deville, Queens Of The Stone Age, Lo-Pan, and many more. Produced by Them Bulls and Scott Hamilton. Recorded and Mixed by Mattia Dallara @ Deposito Zero Studio, (FC) Italy. Artwork and logo by Luna Giorgini (La Moon). All music by Them Bulls. All lyrics by Daniele Pollio.